Is abstract Art Making a Comeback? with Marina Abramovic, Andy Warhol, Milutin Dragojlovic, Maja Gecic, Cile Marinkovic, Vesna Pavlovic, Rex Ray, Branislav Nikolic, Patrick Dougherty, Bojan Sarcevic, Jovi Schnell, Ivan Stojakovic, Vessna Perunovich and Ellen Harvey. With Lucy Liu, Oleg Tistol, Nikola Savic, Antonio Riello, Steve Rosenthal, James Hopkins and Margarita Trushina. 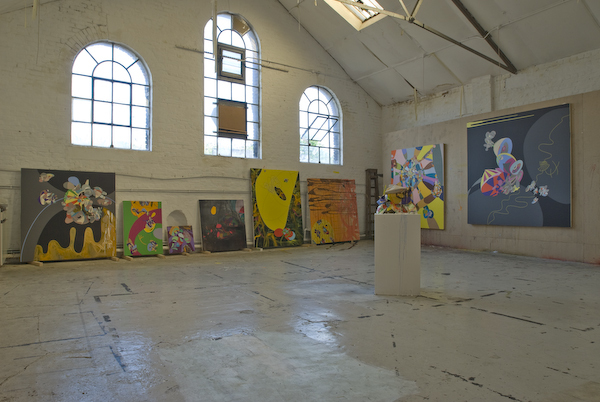 Artists include Billy Apple, James Aldridge, Arman, Morag Ballard, Elspeth Barratt, Christiane Baumgartner, Nicola Bealing, Denis Bowen, Stuart Brisley, Anthony Caro, Claudia Carr, Matt Collishaw, Helen Chadwick, Brian Clarke, John Cobb, Lynn Dennison, Jim Dine, Debbie Duffin, John Dugger, Brian Eno, Garry Fabian Miller, Luke Frost, Rose Garrard, Rachel Goodyear, David Griffiths, Leslie Hakim Dowek, Anthea Holmes, Rachel Howard, Ben Johnson, Valerie Jolly Tarka Kings, Sharon Kivland, Phillip King, Ansel Krut, Langlands & Bell, John Latham, Christopher Le Brun, Littlewhitehead, Hew Locke, Jock Mcfadyen, Elizabeth Magill, Maurizio Nannucci, David Nash, Martin Newth, Hughie O’Donoghue, Gloria Ortega, Therese Oulton, Eduardo Paolozzi, Michael Porter, Felicity Powell, Rebecca Price, Peter Randall-Page, Rob Ryan, June Redfern, Nikola Savic, Terry Setch, Louise Sheridan, Yinka Shonibare MBA, John Skelton, Christopher Stevens, Paramjit, Gerard Titus Carmel, Amikam Toren, James Turrel, Geoff Uglow, Lara Viana, Rachel Whiteread, Alison Wilding, Richard Wilson and Jonathan Yeo.